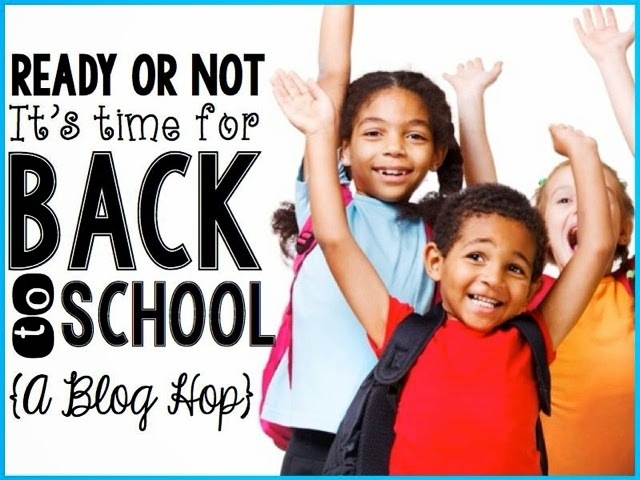 It's time for Back to School Blog Hop. I went back and forth about what I should share. And I decided to share something that worked like a DREAM for the last two years I was in first grade. It was when I made the choice to go to COMMUNITY SUPPLIES. Just the mention of it used to make me worry what the kiddos would say and the fit the parents would throw because "Those were mine!" 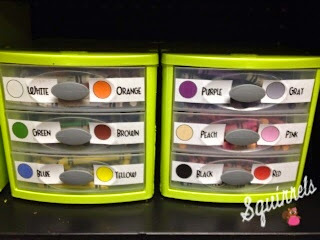 .....but I was VERY pleasantly surprised to find that with some great organization and a fool-proof routine, they would catch on to this system quickly! 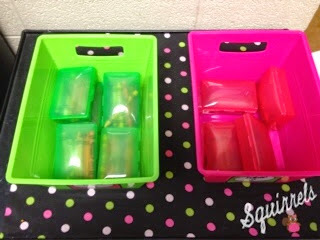 Below are the pictures from when I made that transition, along with some excerpts from the blog post that shared this wonderful way of keeping up with supplies! I do not have the tables I wanted, so I used my desks to make "tables". 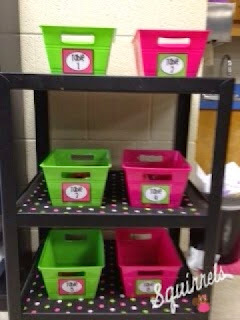 At each table there is an A,B, C, D, E.
It is on your nametag to help you remember. 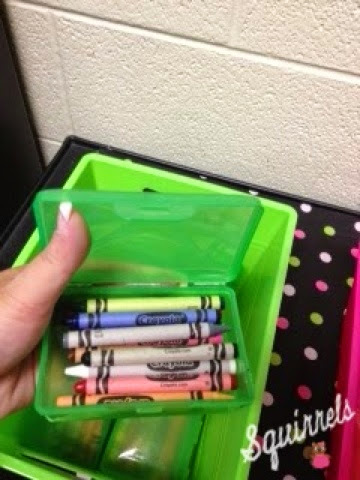 I keep the crayons in these little travel soap containers. They fit perfectly. They will actually hold all 24, but I take out all but the main 12. I painted them, but am not loving them, because they are too "yellowy". It really did work so well- and it did away with all the distractions that came from things being in front of them all the time. 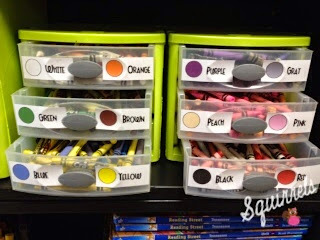 When I taught K, I tried right away to do community supplies, but it all just ended up being a bunch of broken crayons in a crappy caddy in the middle of the table! It only took me 6 years to get it all together! 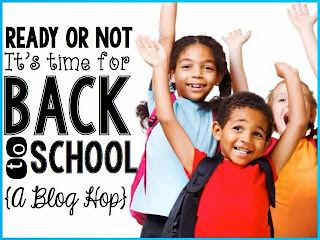 Hope you have found lots of great ideas and freebies to help you on your Back to School Adventure! 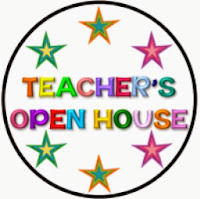 Your next stop will be with Jennifer from The Teacher's Open House- Click on her Button below to head over and see what she has for you! Love! I pinned that sh______________________________. Wow! You have really given us some great ideas! I totally agree with not leaving the scissors at the table. Learned that one real fast! LOL! Loved your post! Made me laugh! But, then again, you ALWAYS make me laugh! This is amazing. Thank you. 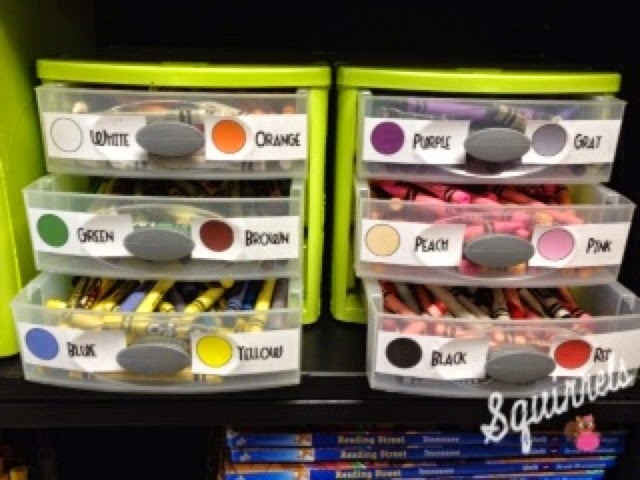 Going to try to incorporate some of this in my class. I'm a big supporter of community supplies! 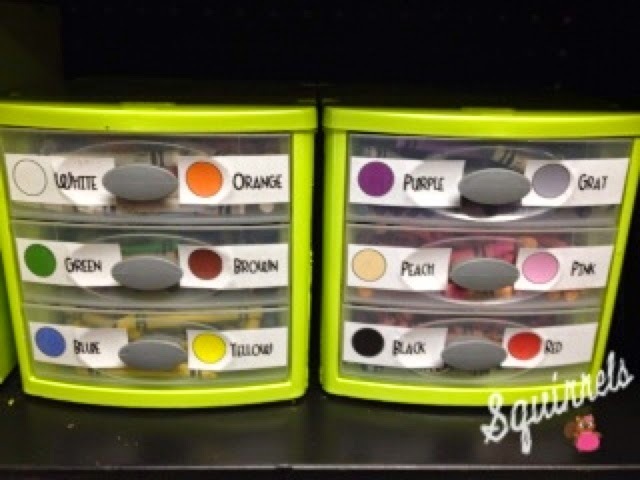 I love the soap containers for crayons! I bought mini pencil boxes this year for crayons and they constantly are playing with them! I may have to move them to a cart like you! Love, love, love how organized and structured you are with all of the supplies. I am a big fan of community supplies. I went to a system kind of like this and saw a big difference in work habits and discipline with my students. 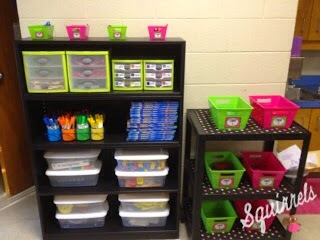 It was so much easier for students to work and not up wandering around the room because everything was where it needed to be. Thank you for the tips; I'm moving from fourth to first and so nervous. No scissors in the caddies; got it! I love your tip about having A, B, C, D and E students at each group. One question I have is what about when you move kids to a different group? I get parents asking for seat changes a few times every year so I tend to do a big move every month. Any suggestions? Oh, and totally separate, off topic question. I was drawn here by your blog name. 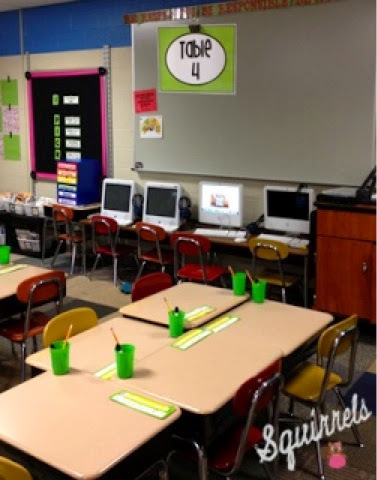 I actually NEED a one week "squirrels" unit. I searched TPT and found nothing. Do you have links to any materials on TPT or Pinterest or anything? WTH Wednesday or Save the Hot Pocket!! !